The students of the Swedeville School stand with their teacher. 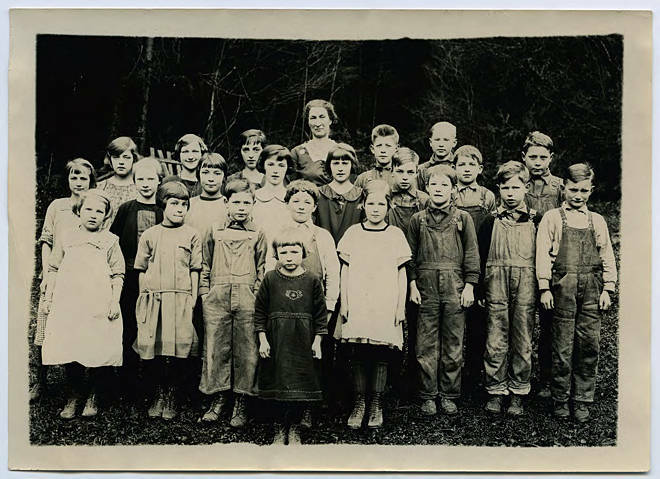 Agnes Peterson May is identified as the student in the second row wearing the dark dress. Jim Hutcheon stands next to her. Harold Peterson stands second to the right of the teacher. [back] Jennie Blormiski's [spelling?] class - Swedeville School. 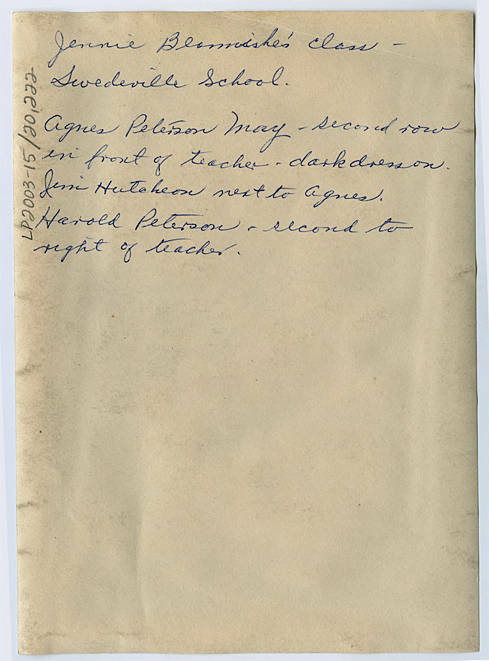 Agnes Peterson May - second row in front of teacher - dark dress on. Jim Hutcheon next to Agnes. Harold Peterson - second to right of teacher.